It’s a beautiful morning in Charlotte, North Carolina. 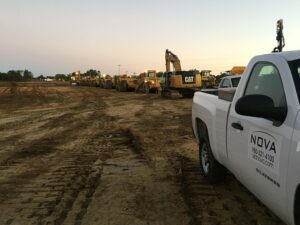 Take a look at this great shot sent from one of NOVA’s job sites. Looks like everyone’s all lined up and ready to go!